I risk sounding a bit like a psychopath by writing this. But sure, why not. When I was younger I was scared of monsters. That is not unusual. A lot of kids are scared of monsters. The monsters I was scared of live up stairs. And on the stairs. Or in the stairs. 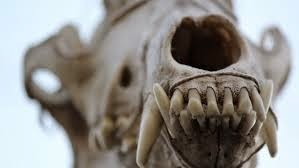 They could come out of the wall, the head of a lion with the skull of a goat and rotting flesh. They would come through the walls and grab me. All this, does not sound too out of the ordinary. So years pass, and occasionally when I am home alone it is as though I can hear the ghosts of these monsters laughing at me, because I never really got over them. They sit around in their hellish circles and stare at me through the walls, because I give them the power to do so. I remember one time coming home after the worst day. One of the many worst days. I can't even remember what had happened now. 'Take me!' at the staircase. Not even the monsters came through for me in the end.